Properties in Åkersberga average 4.3 out of 5 stars. 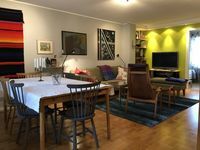 Property 2: IPaD Sea Cottages "Charming Seacottage"
Property 4: IPaD Sea Cottages "The Seaview getaway"
Property 16: Oceanatelier - a archipelago cottage 10 min drive from stockholmcity. Property 22: Cottage with sunny wooden deck by water. Property 23: Sea view cottage. 30 meters to the sea and 70 m to pier/swim. 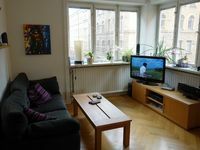 Property 46: Sea cottage on jetty in sunny location, 18 km fm Stockholm. Rowingboat included!